This key practice translates into gentleness towards others and will result in a more meaningful and fulfilling life that will benefit ourselves and our world. A sangha, or community of practitioners, trains to realize the quality of basic goodness (a fundamental underlying feeling of sanity and well being) by working with the powerful transformative practice of gentleness. 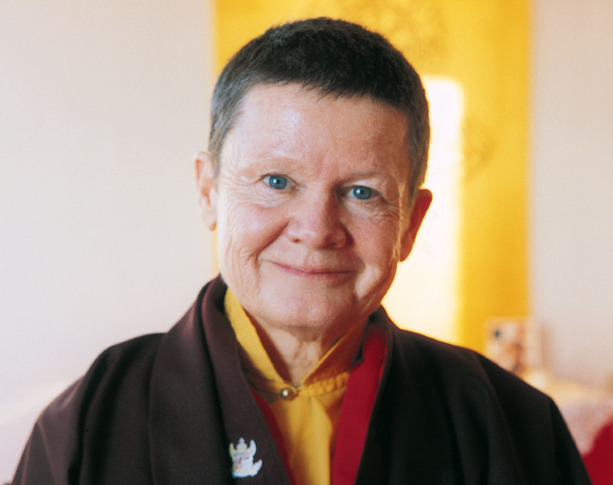 We have to be careful to not allow our own meditation practice to to be further ammunition, as Pema puts it, for harshness to ourselves. We do this by how we judge ourselves when we are constantly ruminating over trivial events during our sitting session, or feeling irritated, jealous or fearful for the millionth time about a story that keeps hooking us. Instead we can begin to develop an unconditional love for ourselves—no matter what comes up we will always love our self. We can begin to experience gentleness in our selves by the shift in perspective and experience that comes from sitting meditation. It seems to be largely depending on how much we can let go, relax and appreciate our lives. Aggression is conceptual, it’s judgmental and it’s like punching ourselves in the face. In working with the technique during meditation, we are repeatedly letting go of whatever comes up and learning to relax and appreciate what’s there naturally. We’re learning that judgments are unhelpful and we can just let them go when they arise.